One of the biggest races of the year, Ronde van Vlaanderen will run its 103rd edition this Sunday, when 25 teams will line out in Antwerp, all hoping to taste glory later in the day, when after more than six tough and nerve-wracking hours, the winner of the season’s second Monument will be crowned in Oudenaarde. 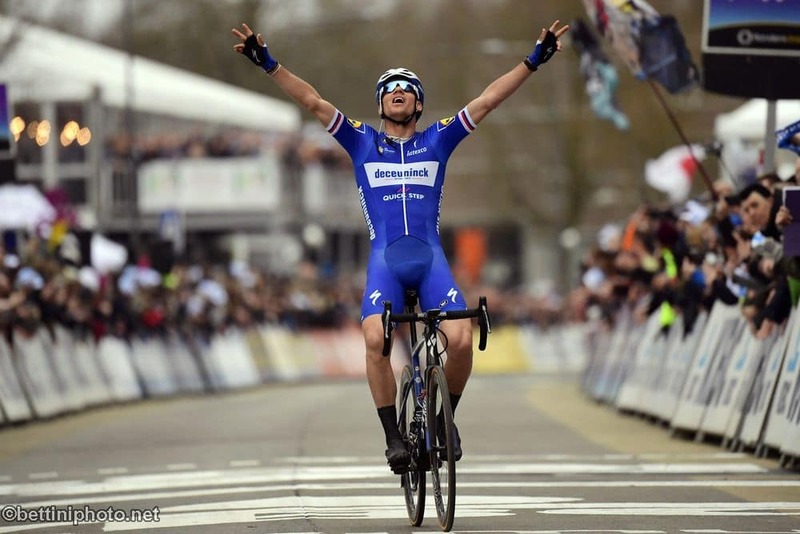 Deceuninck – Quick-Step will go into the 267km-long World Tour event having won a total of twenty races so far this season, including Milano-Sanremo, Strade Bianche, Omloop Het Nieuwsblad and E3 Harelbeke, the latter being always an indicator for what could come at De Ronde, as it packs a similar course, albeit shorter. Having won E3 Harelbeke last week, Zdenek Sybar is naturally one of the main favorites for victory, a status he thoroughly enjoys. “I did everything to be ready for Sunday, I’m happy to be regarded as one of the big contenders and I hope the race will go well and luck will be on our side. It’s not just one of the most important races of the season, but also a personal favorite for our team and we are confident and motivated to keep it rolling for the Wolfpack”, said the first Czech rider to triumph in a cobbled Classic at the press conference hosted by the Deceuninck Headquarters in Hooglede-Gits. Two years ago, Philippe Gilbert soloed to an unforgettable victory in Flanders, after attacking 57 kilometers out and holding off the chasers for his fourth career Monument win. The Belgian will look to be again there in the final hour of racing, although he admits that having to stop Wednesday’s Dwars door Vlaanderen due to stomach problems won’t make it an easy task. Bob Jungels was one of the cobbled Classics’ strongest and most impressive performers, riding to a great win at Kuurne-Brussels-Kuurne and finishing third at Dwars door Vlaanderen, as well as setting up teammate Zdenek Stybar for victory in E3 Harelbeke. “Being at this level before Flanders gives me a lot of satisfaction, because it means I’ve had a very good winter and a nice preparation in Colombia. It will be my first time in the Ronde and I’m proud to be here with these guys and really honored to be named among the favorites, but what really matters in the end is what we’ll do during the race, for which we are prepared”, said Bob, who’ll make his final appearance at the Classics before going on an altitude training camp for the Giro d’Italia. Also on Deceuninck – Quick-Step team’s for Sunday will be Kasper Asgreen, Tim Declercq, Iljo Keisse and Yves Lampaert, for whom riding Ronde van Vlaanderen with the Belgian Champion jersey on his shoulders “will be a special feeling and I’m ready to enjoy every single moment of the race”.